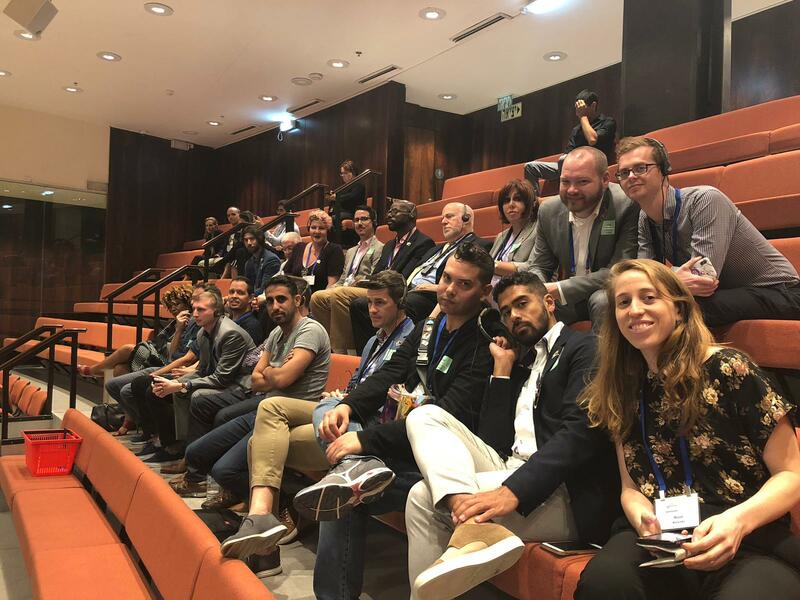 On Wednesday, October 31, A Wider Bridge’s 2018 Fall LGBTQ Mission Trip to Israel sat in the Knesset gallery as the opposition introduced the pro-LGBT surrogacy Bill, which was ultimately defeated. The group witnessed an ugly episode as ultra-orthodox MK shouted out at MKs Yair Lapid and Yael German for championing the LGBTQ community. Mission Trip participant Matthew Craffey took video of the heated exchange. 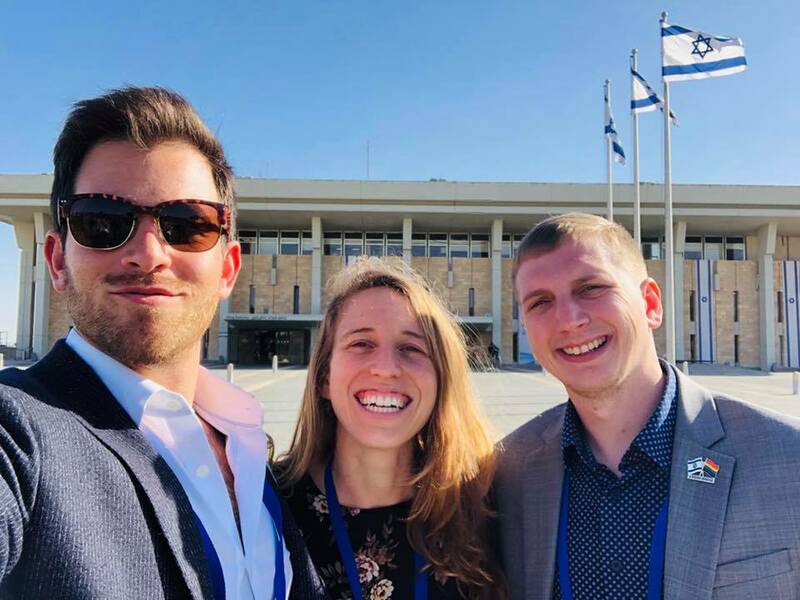 Earlier that day, AWB met with LGBTQ Taskforce lobbyist Oded Frid and MKs Amir Ohana and Meirav Michaeli, as part of the A Wider Bridge LGBTQ Mission Trip to Israel. Ohana, an openly gay member of Netanyahu’s own Likud party, has been a vocal opponent of the anti-gay bill. However, despite heated arguments from those in favor of granting surrogacy parenthood rights to gay men, Israel’s coalition government voted the bill down. It remains illegal for gay men to use the services of a surrogate parent in Israel. “I support surrogacy for the LGBT community, but until this moment we do not have the majority in the coalition to pass the law. When we have the majority, we will pass the legislation,” Prime Minister Benjamin Netanyahu during Wednesday’s Knesset debate. In a dramatic moment at the Knesset on Wednesday, Gill Hoffman from the Jerusalem Post reports that gay Zionist Union Knesset member Itzik Shmuli turned to Prime Minister Benjamin Netanyahu and asked him why his policies prevent him from becoming a father.